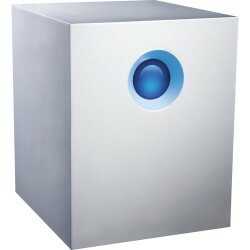 LaCie, the premium brand of Seagate technology, designs world-class storage solutions for photographers, videographers, audio professionals, and other power users. With leading technology, performance, quality, and customer support, LaCie helps you realize your creative vision. We differentiate ourselves with a focus on design, unmatched technical performance, and long-term reliability. 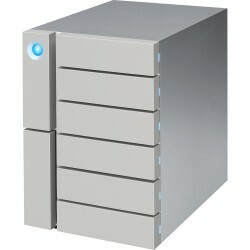 All LaCie professional desktop solutions feature durable aluminum enclosures, high-quality hard drives or SSDs, and components that are built to last. 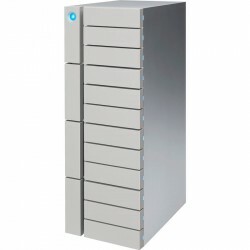 LaCie 12big 120TB Thunderbolt 3 RAID Array 12-Bay STFJ12000040 operates usi..
LaCie 12big 48TB Thunderbolt 3 RAID Array 12-Bay STFJ48000400 operates usin..
LaCie 12big 72TB Thunderbolt 3 RAID Array 12-Bay STFJ72000400 operates usin..
LaCie 12big 96TB Thunderbolt 3 RAID Array 12-Bay STFJ96000400 operates usin..
LaCie 5big 20TB Thunderbolt 2 RAID STFC20000400 delivering Thunderbolt 2 sp..
LaCie 5big 30TB Thunderbolt 2 RAID STFC30000400 delivering Thunderbolt 2 sp..
LaCie 5big 40TB Thunderbolt 2 Enterprise Class RAID STFC40000400 delivering..
LaCie 6big 24TB 6-Bay Thunderbolt 3 RAID Array STFK24000400 comes with six ..
LaCie 6big 36TB 6-Bay Thunderbolt 3 RAID Array STFK36000400 comes with six ..
LaCie 6big 48TB 6-Bay Thunderbolt 3 RAID Array STFK48000400 comes with six ..
LaCie 6big 60TB 6-Bay Thunderbolt 3 RAID Array STFK60000400 comes with six ..